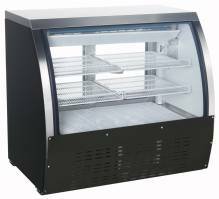 Zanduco 47" Black Coated Steel Floor Model Refrigerated Showcase 18 cu. 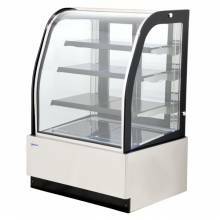 ft.
Zanduco 47" Stainless Steel Floor Model Refrigerated Showcase 18 cu. 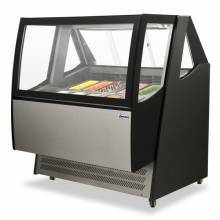 ft.
Zanduco 82" Black Coated Steel Floor Model Refrigerated Showcase 32 cu. 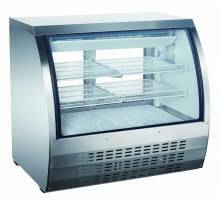 ft.
Zanduco 82" Stainless Steel Floor Model Refrigerated Showcase 32 cu. ft. 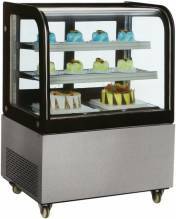 Easily accessible for customers to access pre-made food, drinks, baked goods, and other types of food, these display cases are perfect for any behind-the-counter service, and for a high-volume, self-serve establishment. 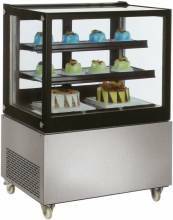 Our refrigerated display cases provide an attractive, economic solution to the display of your cakes and pastries. Equipped with a digitally controlled temperature system and interior lighting, increase impulse sales by furnishing your establishment with attractive, quality made commercial showcases.